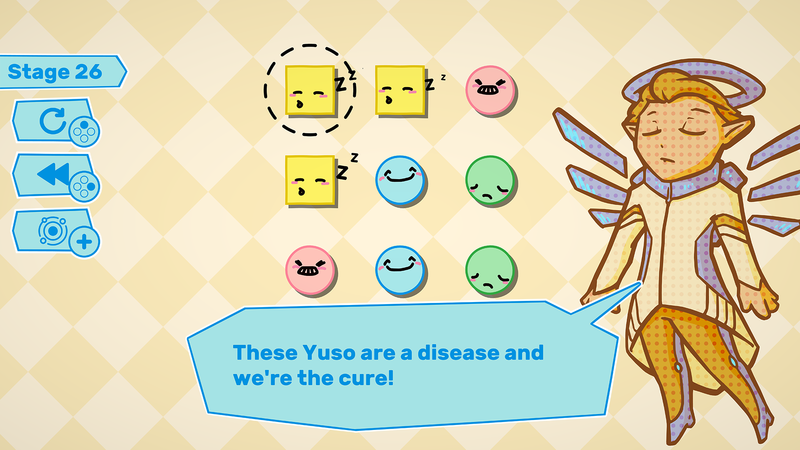 Yuso is a puzzle game where you have to clear the screen of the titular Yuso. 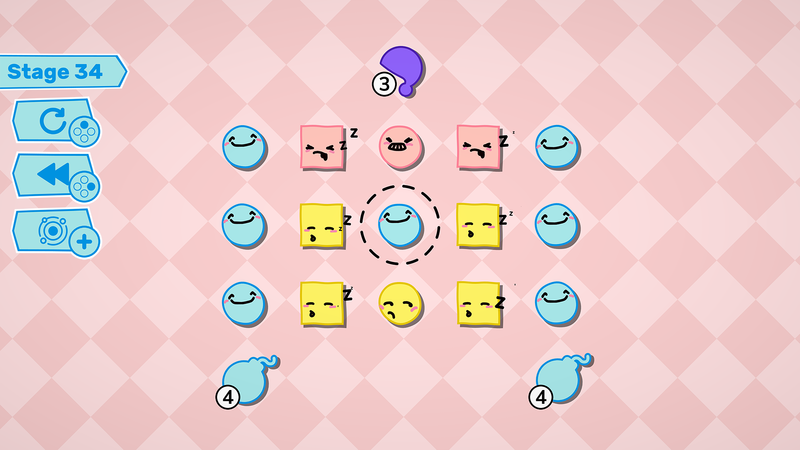 The game gets harder as you progress, introducing new colours and gadgets to help or harm you along the way. A story that spans the Solar System, you’ll take on the role of a space doctor. Moving from planet to planet, meeting the inhabitants and completing their stages. 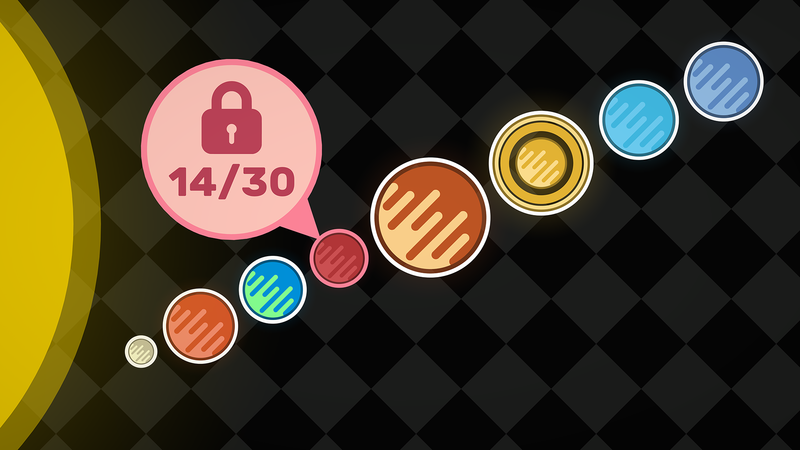 The quirky cast of characters will help you on your journey as well as congratulating you on each hard puzzle you beat! Yuso can look cute but don’t let them fool you! Levels get increasingly more difficult and later stages are tough! 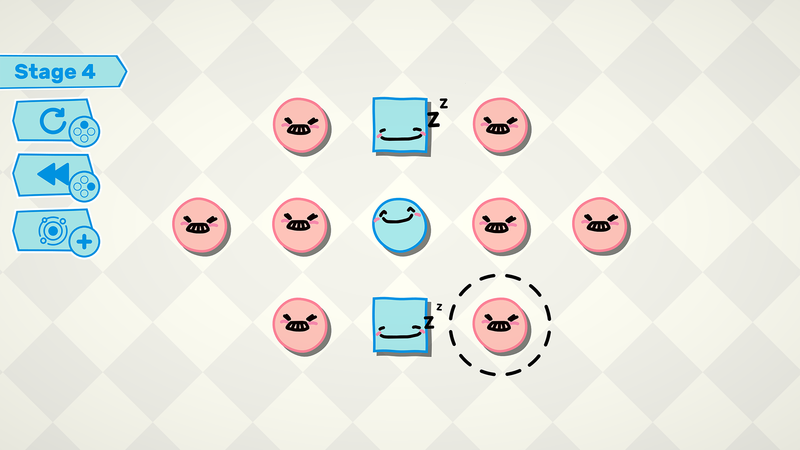 The game has an open progression system so that players are challenged but never frustrated, giving them the chance to progress and come back to difficult stages at will. Yuso is available now on Nintendo Switch, Steam, iOS and Android. Here are the Yuso, sure they’re cute but it’s your job to get rid of them! When a Yuso is next to another of the same colour you can pop them, they’ll explode and get rid of Yuso around them that are the same colour. If it’s a different colour Yuso it’ll change colour to match. You’re going to have to use your brain to chain explosions together and get rid of any stray Yuso left behind! Bombs and Nightcaps, both of these will countdown as you pop Yuso. When the timer reaches zero you better watch out as they’ll explode! An exploding bomb acts just like an exploding Yuso while a nightcap explosion will put any Yuso in range to sleep. When Yuso fall asleep they can be extra difficult to deal with. Explosions are the only way to wake them up and they won’t change colour like a Yuso that’s awake, so watch out!